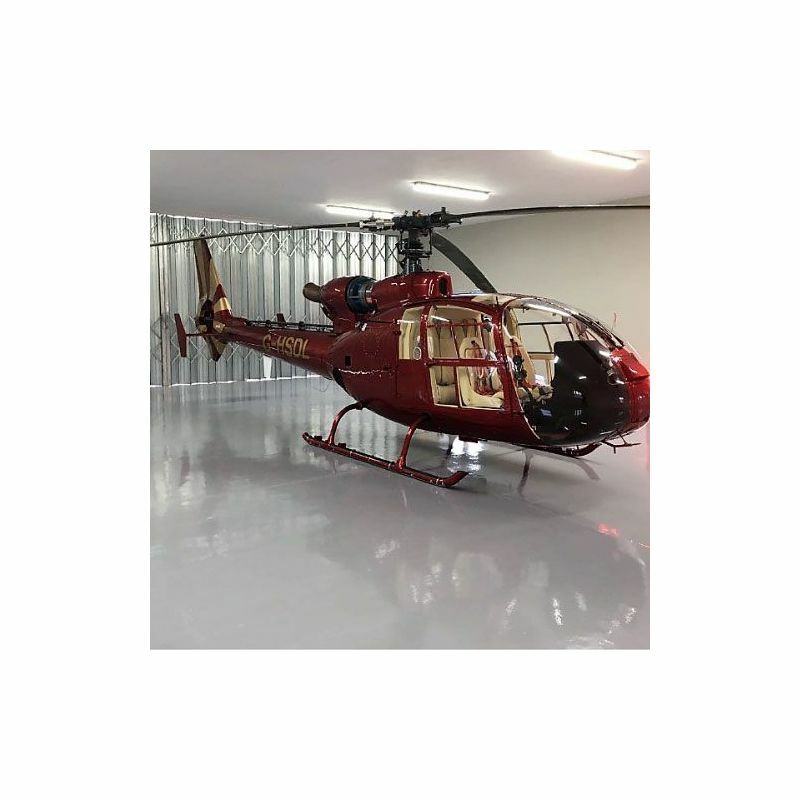 Resincoat Epoxy Garage Floor Paint is a heavy duty epoxy resin paint for coating garage floors at home or in an industrial setting. 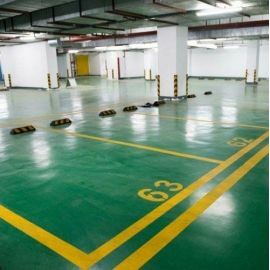 Our best-selling garage floor formula gives you a smooth gloss finish whilst offering the highest strength. Easy to use for both the DIY and industrial users. 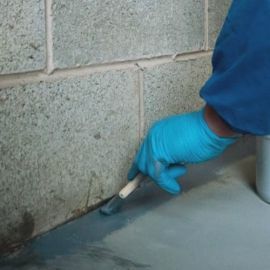 Our garage floor paint is designed to last and is not water or solvent based like cheaper epoxy floor paints. 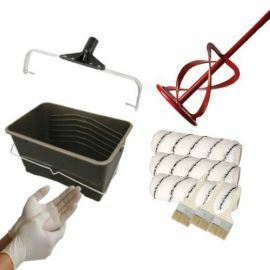 We also offer single garage, double garage and triple garage bundles complete with everything you need including accessories and available with anti-slip options. Composition 100% Epoxy Resin formula, solvent free. 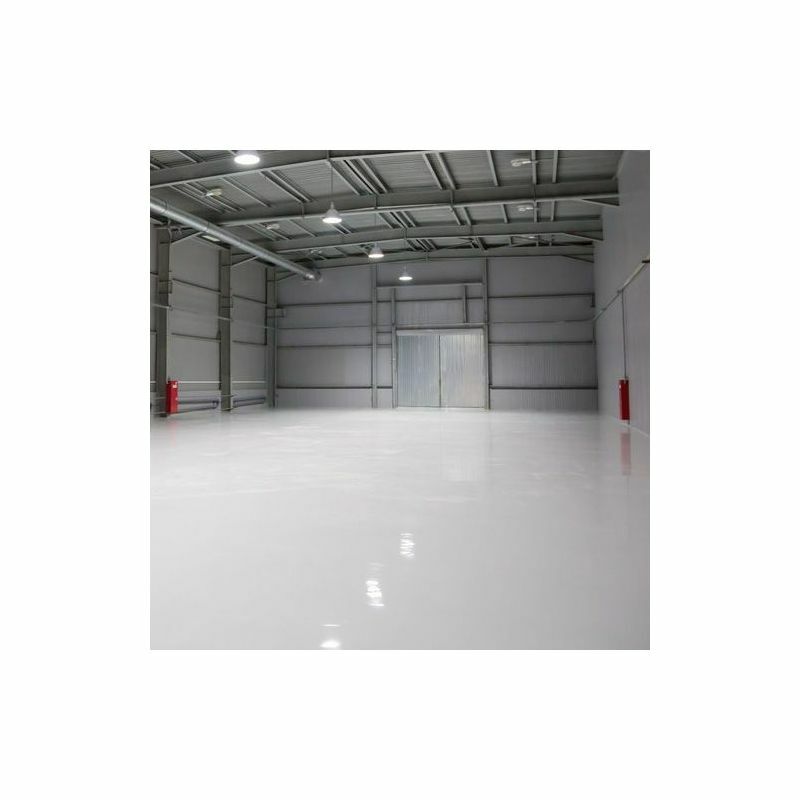 Substrates Concrete floors, metal flooring, asphalts, most smooth surfaces. Ambient Temperature During application 7 degrees minimum is recommended. Typical Installations Garage floors, basements, storage units, industrial flooring, service garages, MOT centres etc. Check out our colour guide and video section by clicking the above icons. Always use an Epoxy Roller frame and sleeve for the best result. Mix with a paddle attached to a drill. This product is part of the Resincoat HB Range. 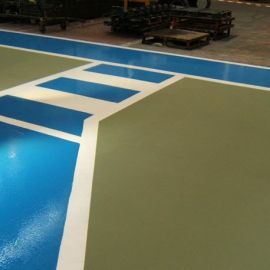 Resincoat HB is a heavy duty, solvent free epoxy floor coating, possessing exceptional abrasion and chemical resistance. 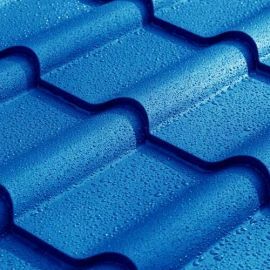 Its high build characteristics allows the application of coatings in exceed 0.25mm per coat. The paint will fully dry and be ready for walking on in just 24 hours but we advise 48 hours before heavy vehicular traffic to allow the formula to cure fully. 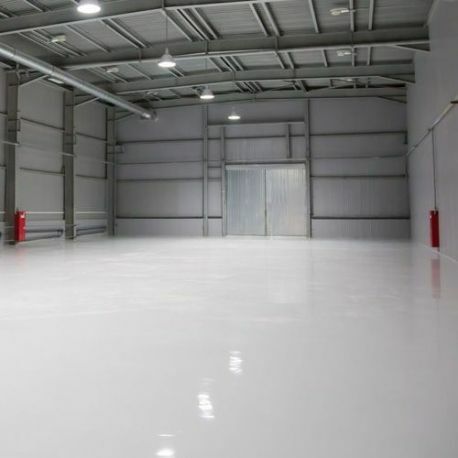 Two coats of Resincoat HB Epoxy Garage Floor Paint can provide the equivalent of ten coats of conventional coatings containing solvent. 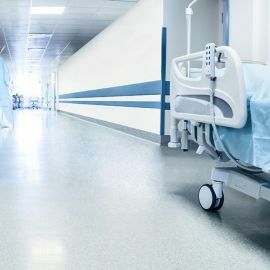 Note: Our HB Epoxy is not UV Stable and will discolour when exposed to direct sunlight and therefore needs to be coated with our clear UVR Coating. The pot life of this product is 20 minutes. This is not to be confused with working time. Resincoat HB has a working time of approximately 40 mintutes dependant on ambient temperature. 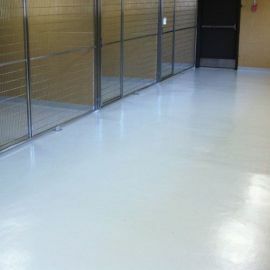 Resincoat garage floor paint is a great product. Really happy with how easy it went down, thanks to Saskia for all the advice on preparation. After having issues with another company for their poor quality paint we decided to try Resincoat and haven't looked back since. 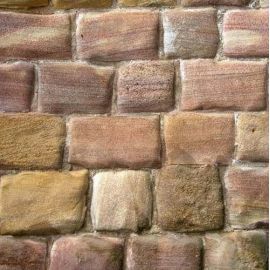 Great quality product, definitely the best we have used for our renovation projects. This paint is so much better quality than other 2 pack paints I have used. The paint is thicker and doesn't always go as far but the quality is totally different so the paint doesn't just lift a week after applying... Will be buying from Resincoat every time in future. Ordered in light grey and i'm very happy with it! 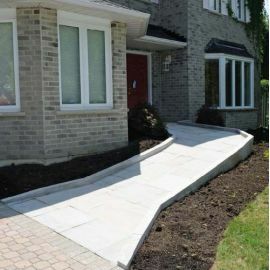 Delivery was also one day earlier than expected which allowed us time to make a head start on our project. Resincoat garage floor paint is excellent, very happy with the finish and will use again and recommend. I purchased the single garage floor paint kit to cover 18sq metres on a new concrete floor. It did help by using the primer which sealed the surface. The second coat went on well. You do need a helper to cut in while you're rolling. I applied each coat in the morning when it was cool and easily had 30 mins working time. There was enough paint in each tin to cover nicely with a bit to spare. It's not cheap but it does give a great finish. Well worth the effort. Really impressed with this product, painted our concrete garage in light grey and it came out great. Dried quick too. This is a good product but care is needed in its application. The product notes do not appear to mention the problem I experienced. 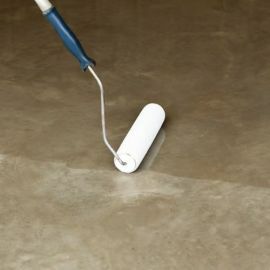 I used it on my 50+ year old 17sq metre concrete garage floor; relatively smooth, level, dry, clean and grease-free. I did not use a primer but intimidated by the cure time, I worked quickly to apply the 5kg pack. In my haste but unaware at the time, I spread the paint too thickly. The result was the 5Kg pack did not go far enough and only did about 60% of the area. Worse still, because I had not taken care to roll out the product thoroughly and thinly, a large part of the area produced small air bubbles. I subsequently bought a 2.5kg pack to finish off the first coat and another 5kg pack for a complete second coat. Learning from my previous error, the 2.5kg pack was more than enough to complete the first coat, producing a good finish which demonstrated to me that one coat – properly applied – would have been sufficient. The product is so tough that I could not completely remove evidence of the first coat air bubbles with my sander. Despite that, the second coat produced a very good finish. Fantastic product and service was excellent. Only thing was we probably could have done with another tin for the last few bits. 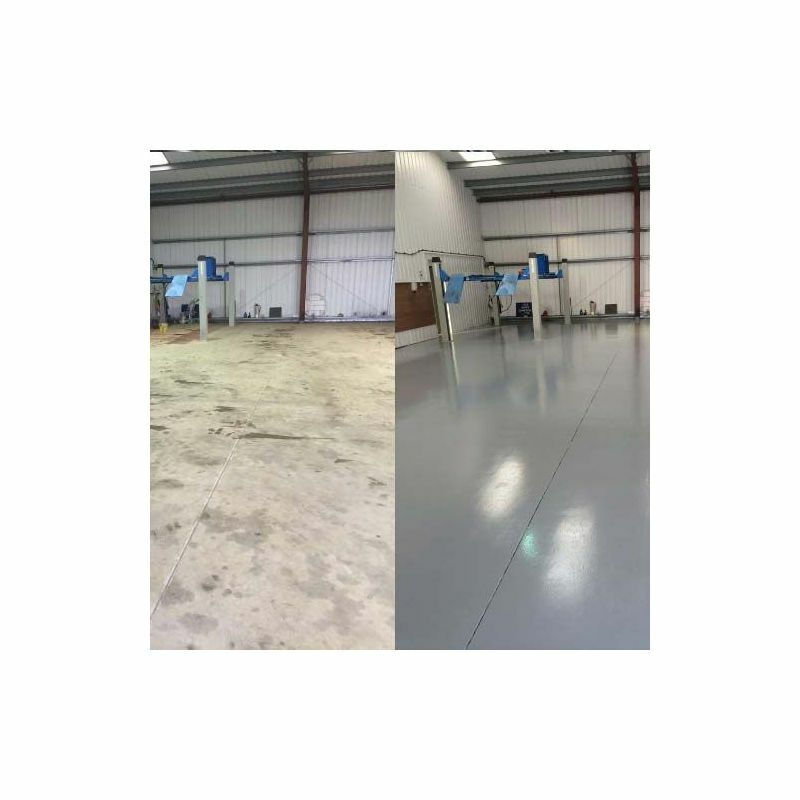 Ordered standard delivery and received next day, very happy with the service and the floor paint has gone down a treat on our new concrete floor. Used this in our new show garage and it looks fantastic, highly recommend. great paint that I used with a damp tolerant primer recommended by john. very much appreciated. so far so good! As an amateur I had a few issues using this paint. I didn't appreciate quite how quickly it would become unworkable, attempted to lay 5kg over 20m2 by myself and only managed less than half, not least due to the time spent cutting in. Was a mistake to push on when it started to become unworkable as I ended up with a few thick streaks of paint before I gave it up. Was easier on the 2nd coat but still took 2 of us 30 mins to get a 5kg tin on in time. Had to order another 2.5kg tin to finish up and still a pretty uneven finish. The floors in the photos look like they may have been sprayed on? If doing it again I would order smaller tins and disregard the expense; 1ltr tin to cut in, then I suggest no more than 10m2 per person (2.5kg) in each attempt at most and preferably less. I would also try the recommended rollers instead of those recommended by my local outfit as maybe this slowed me down/ gave a worse finish. On the plus side, delivered on time with good instructions on mixing etc, no issues with the company. Maybe just need a bit more experience of this kind of job! great service, fast delivery, great product. I don’t normally leave reviews but on this occasion I have to. The service from this company is second to none, Matt has been most helpful right from my first phone conversation through to completion. I can not recommend enough and will definitely be recommending them and will use them again. 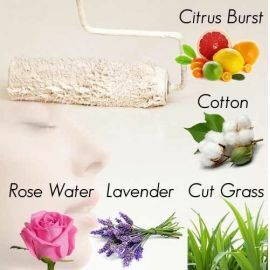 The product is also as described and very good. This is the second order I have had, the first some 6 months ago. This new improved coating seems to go further and spreads better. I found Resincoat a great company to deal with for advice on which product would suit my needs the best, and the product "does exactly what it says on the tin". Simple enough to do, and has given a great finish. Fully recommend. I used this product for my garage, which was always dusty and dirty. It is a brilliant product with a high quality finish that looks great. The customer service is first class - from advice on what I need right through to delivery. 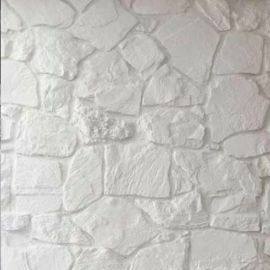 When i asked advise they could easily have given the safe answer (ie I need to spend ages preparing and use a primer) but the advice was that I could apply without the primer and would still get a good finish - they also made it sound very simple to apply, which it was. My only comment, which is not a negative, is that my garage was new cement so sucked up a lot of the paint so coverage wasnt quite as good as it suggests on the website - but I know this varies and when I spoke to the Company their recommendation on coverage was more accurate. If only all companies delivered like this - US standard customer service and a first class product. Purchased a few times now, always a good experience, great epoxy, the best I've used over the years. "I'll be back"! 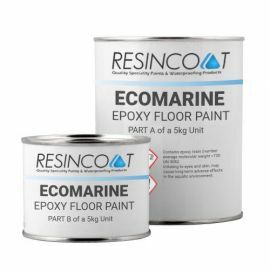 I just followed the instructions and got great free advice from Resincoat which resulted in my beautiful garage floor. Thanks. I have done my car-port building in this paint - very easy to apply, comes with full and detailed instructions and packaged very well. The finish is very high gloss and looks amazing. Customer support is also second to none. I applied primer first and then did the borders with a 1Kg can before laying the main floor paint to achieve a very good finish using the recommended roller. The only drawback for me was where I had some deeper pits in the garage floor, I found the roller wouldn't fill them so had to use a brush which required some nifty stretching and balancing! Had to work quickly due to hot weather so would suggest to others to try cooling the cans a little to give a better working time. You can tell when it is starting to cure as it becomes much harder to roll (22mins for me at 20*C). Using the paint mixer also made light work of that job increasing valuable painting time.I would also recommend using the primer first to guarantee a really good finish.In several small corner areas where I hadn't used primer it was much harder to apply the paint. All in all an excellent product.